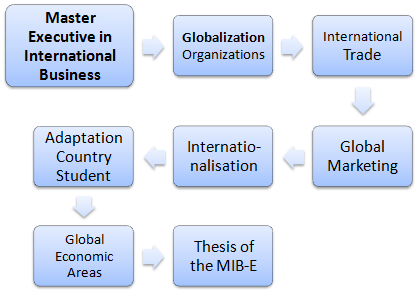 The Professional Executive Master in International Business (Foreign Trade, Global Marketing, and Internationalisation) MIB-E (120 , 17th edition, e-learning) taught by EENI Business School & HA Independent University offers the student a global vision and practical approach on all related subjects to international business. 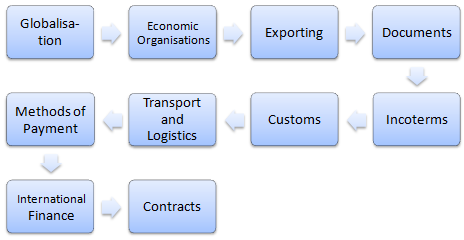 The Executive Master in International Business facilitates access to anyone without previous basic knowledge or experience in International Business to reach a high level of knowledge related to global trade as shown in the following diagram. 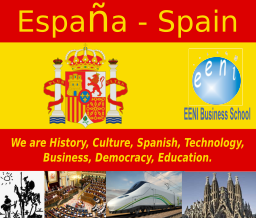 If you wish to specialise in international business; we recommend this Executive Master. 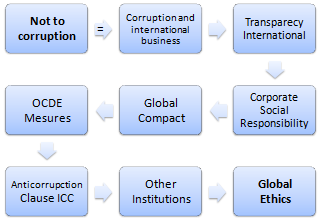 Modules of the Executive Master in International Business (eLearning). 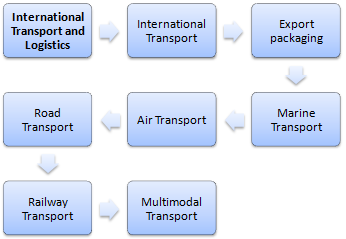 The Master includes the module Adaptation to student's country (Africa, Asia, Middle East, Europe) with subjects adapted to student's country (regional economic organisations, free trade agreements...), and a series of optional related subjects to World's Economic Areas. A Professional Master of Science (MSc) in International Business (MIB) that fits your schedule and helps you to get a better job. 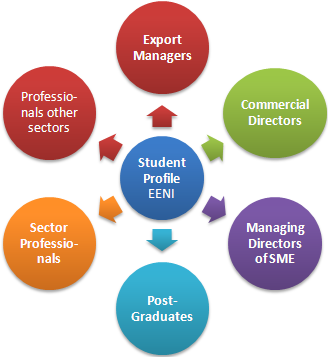 Study of the regional economic organisations as well as free trade agreements (FTA) of the student's country. 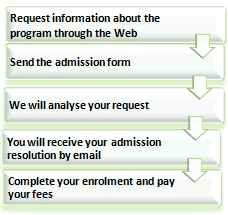 Diploma of Professional Master of Science (MSc) in International Business. 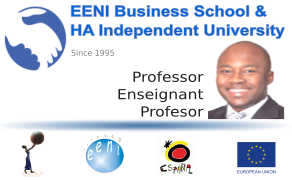 Students who complete all the exercises and thesis will obtain the Master Degree Diploma issued by EENI Business School & HA Independent University. 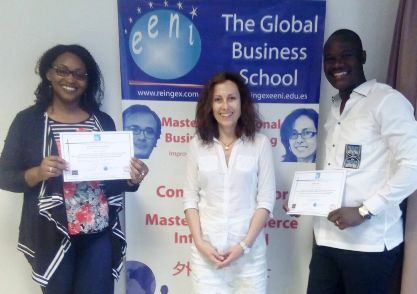 Students with a Bachelor's Degree or proven experience in International Business: Diploma of Professional Master of Science (MSc) in International Business (Foreign Trade, International Marketing, and Internationalisation). 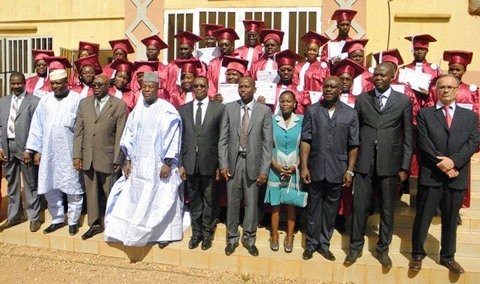 In this case, it will be necessary to send us a certified copy of the University Diploma. Students without a Bachelor's Degree and without experience in International Business: Advanced Diploma in International Business (Foreign trade, International Marketing and Internationalisation). The subjects of the master are available in four languages: English, Spanish, French or Portuguese and are accessible to all the students wishing to review them in whatever language and use one of the four languages as a vehicular language of the campus and to complete the exercises. Some subjects are also available in Chinese. 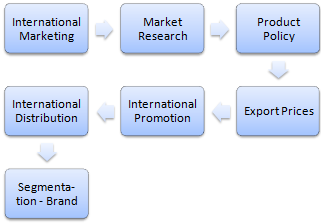 The student is placed in a global atmosphere where the professors, as well as the fellow students, are spread around the world. 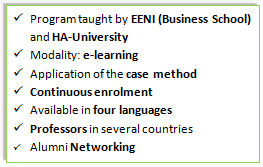 Why study the Master of Science (MSc) in International Business with EENI Business School & HA University?